A San Diego State professor discriminated against a white student because of her race, investigators from the California attorney general’s office found. 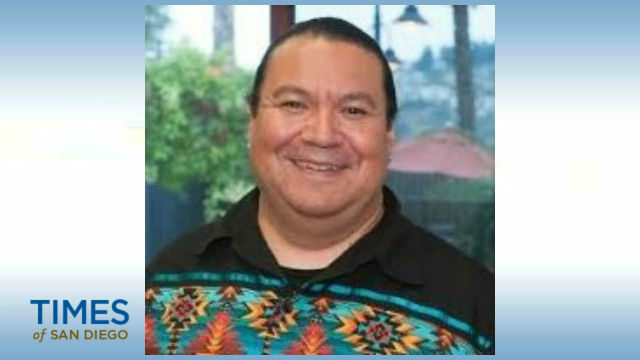 According to a 51-page confidential report obtained by The Daily Aztec, investigators sustained three specific complaints against American Indian Studies Lecturer Oscar “Ozzie” Monge made by recent SDSU graduate Crystal Sudano against Monge — that he discriminated against her, harassed her and retaliated against her by threatening her grade. A fourth complaint, that Monge discriminated against her on the basis of a disability, was not sustained. When reached Saturday by City News Service, Monge declined to comment. Under the conditions of CSU Executive Order 1097, which outlines the complaint process, individuals involved in a complaint are instructed to maintain confidentiality until the conclusion of the investigation and appeals processes. He also wrote to an investigator that it is “quite easy to argue that ‘whiteness’ is synonymous with evil,” according to the report summarized in The Daily Aztec. Sudano eventually decided to drop her course with Monge last spring, and the investigation found Monge at fault for her decision to withdraw. Monge will likely appeal the findings against him to the California State University Office of the Chancellor, The Daily Aztec reported. The investigation by the attorney general’s office was performed at the behest of the CSU and is only a first step. The case may be re-investigated, and possibly reviewed by the University Senate. “San Diego State University is committed to creating a learning environment where everyone is treated with respect and dignity,” SDSU spokeswoman Jill Esterbrooks said regarding the complaint against Monge. “The university prohibits discriminatory behavior and harassment of any kind on campus, and takes allegations of misconduct by any member of the campus community very seriously. “The university responds to all reports of alleged violations by members of the campus community, and takes appropriate action to prevent, investigate, correct or discipline such conduct. Monge is a controversial figure on campus. His master’s thesis, “Fail, Montezuma! The last vestiges of an obscured yet stubbornly persistent culture of racism at San Diego State University,” described what he considers to be the racist history of SDSU’s mascot, the Aztec. He backed a resolution from SDSU’s student government in favor of ending the Aztec in April 2017 — an effort that ultimately failed. However, the University Senate — which mostly consists of faculty, with a handful of student members — passed a non-binding resolution in November to retire the use of the human “Aztec Warrior” mascot and investigate the appropriateness of the continued use of the Aztec name.